Five ways many Americans’ finances will take a hit under the Trump administration. Could Trump-touting financial experts be right that the president-elect’s proposed tax cuts will ensure that “everyone’s a winner”? Uh, no. Photo illustration by Lisa Larson-Walker. Photo by patpitchaya/Thinkstock. Could Trump-touting financial experts—like, ahem, possible Trump appointee Larry Kudlow—be right that the president-elect’s proposed tax cuts will ensure that “everyone’s a winner”? The wealthiest among us may do just fine thanks to stock-market gains and tax cuts. And, yes, the overall economy itself might continue to chug along, allowing Trump to take credit for economic improvements that occurred during Barack Obama’s administration. But many of us could lose out, thanks to changes the incoming administration plans to make to Obama-era policies and initiatives—changes whose primary beneficiaries will be Trump’s wealthy peers, to the detriment of everyone else. Remember Trump’s promises to protect the safety net? “I’m going to save Social Security,” he said during one Republican debate. “It is my intention to leave Social Security as it is,” he said at another. “We will not cut Medicare or Social Security benefits,” he told CNN. Consider this one of those Trump stands we were supposed to take neither seriously nor literally. Since winning the election, Trump has surrounded himself with people dedicated to trimming both programs, never mind that they are life lines for millions of Amerians. Rep. Tom Price, whom Trump nominated for secretary of health and human services, supports raising the retirement age. Trump’s Social Security transition team is stocked with people who have advocated privatizing it. Medicare is a bit more of a puzzle. Within a day of the election, House Speaker Paul Ryan, who champions a plan to turn Medicare into a voucher system, was talking reform. Price supports this plan. Mick Mulvaney, Trump’s selection to head up the Office of Management and Budget, is as unhappy with Medicare as he is with Social Security. Trump’s said nothing to date, but just days after the election, his transition website proclaimed he would “modernize Medicare.” Voucherizing Medicare definitely qualifies as a serious cut. Seniors would receive a set amount to apply toward the purchase of approved insurance plans. If they pick an option that costs more than their stipend, they pay the excess cost. Congressional Republicans can’t even wait until Trump takes office to get going. Texas Rep. Sam Johnson, the chair of the House subcommittee for Social Security, already introduced a plan that would reduce benefits for the majority of recipients, with Think Progress reporting that a worker with an average annual income of $60,000 would see a stipend cut of approximately one-third. Remember: About half of American seniors would live in poverty without Social Security. 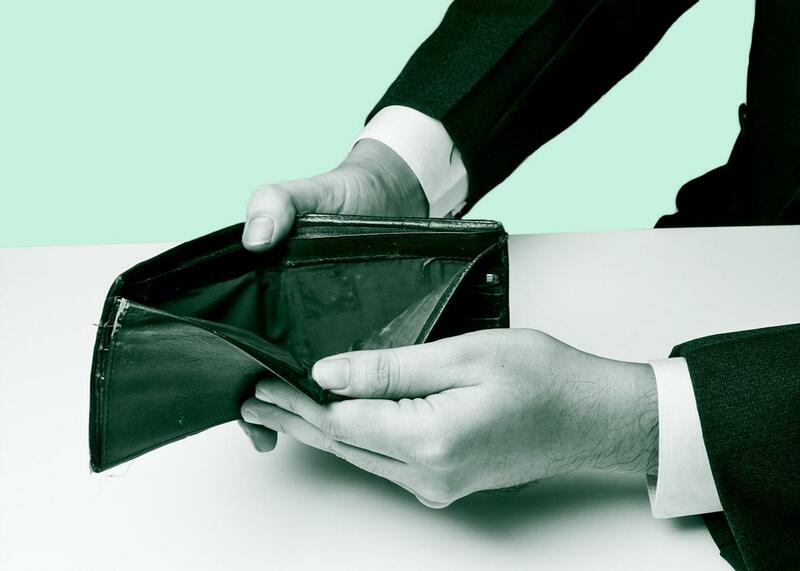 A large minority of baby boomers and a full-on majority of Generation X do not even come close to having enough money set aside for their post-work lives. And Fidelity approximates that a couple retiring this year will need an estimated $260,000 to pay for its future health care expenses, and that’s with the Medicare system we have now. If the Republicans get their way, seniors will pay more money for less coverage. Now it looks like a decent proportion of poor and middle-income people will remain left behind in the economic dirt. A Texas court halted the regulations just days before they were scheduled to go into effect. It seems quite possible the Trump administration will take the opportunity to postpone and revise the regulations or drop the appeal entirely. Trump advocated during the campaign for a “delay” or “carve-out” for small-business owners. Trump’s pick for secretary of labor, Andy Puzder, is a vocal opponent of the new overtime regs. Writing in Forbes last spring, he claimed the salary boost, if it went though, would reduce “opportunities, bonuses, benefits, perks, and promotions,” adding, “Most salaried employees recognize that in exchange for the opportunity, prestige and financial benefits that come with a salaried position and a performance-based bonus, they’re expected to have an increased sense of ownership and stay until the job gets done.” Maybe. But as millions of workers will continue to learn, you can’t eat prestige. Expect intrepid Republican members of Congress to introduce bills to abolish the Consumer Financial Protection Bureau within days of the start of the 115th Congress. They’ve been complaining, after all, about how the common-sense regulations the agency promotes to protect consumers are actually job-killing power grabs by an unaccountable bureaucracy. You can think of these bills as works of performance art designed to hide the less controversial way the Republicans plan to hobble the CFPB. We’ll almost certainly see proposals to do away with a single agency director, replacing the position with a five-member commission whose members are approved by Congress. While that certainly sounds reasonable enough, it will at best dilute the agency’s power to get things done, and at worst leave it subject to political meddling by Congress. You can also expect to see congressional efforts to stop the agency from stepping in and continuing with plans to crack down on payday-lending abuses and put a stop to mandatory arbitration clauses in financial contracts. Another thing that could leave your wallet at risk? As Lisa Schencker recently reported in the Chicago Tribune, prior to the Affordable Care Act, all health insurance policies, whether purchased on the individual market or through an employer, could contain lifetime limits on insurer spending, often of about $1 million. * That may sound more than adequate, but it’s not if you’re taking one of the increasing number of drugs that cost more than $100,000 annually. Then there are the policies that won’t have a snowball’s chance in Palm Beach over the next several years. Remember Hillary Clinton’s plan to make in-state college tuition-free for students coming from households with an annual income of up to $125,000? That almost certainly would have put pressure on private institutions to to keep their costs in line, too. As Democrats frantically fend off attempts to cut Social Security, it seems highly unlikely anyone will be able to push through an increase in benefits for widows and widowers, not to mention credits for unpaid caretaking. It seems unlikely the creator of Trump University will express much concern for the plight of students stuck with loans they took out to pay for the tuition at for-profit universities that promised more than they could deliver. The scheduled upgrade to the way Americans receive advice on how to manage what retirement savings they have seems likely to remain in place, but it’s not guaranteed. Fights over the future of the Affordable Care Act will leave few with the bandwidth to deal with issues like surprise medical bills, something that happens to almost 25 percent of people who visit an emergency room. The National Labor Relations Board will likely take a more conservative stance on everything from graduate-student union drives to expanding the responsibility of national franchises to the workers technically employed by their franchisees. So who wins? Easy. The nonpartisan Tax Policy Center estimates that about half the tax cuts proposed in Trump’s tax-reform plan would go to the top 1 percent of earners. A millionaire can expect to save more than $300,000 on average, according to Lily Batchelder, a visiting fellow at the Tax Policy Center. * That’s a nice chunk of change. Pity it’ll go to the people who need it the least.